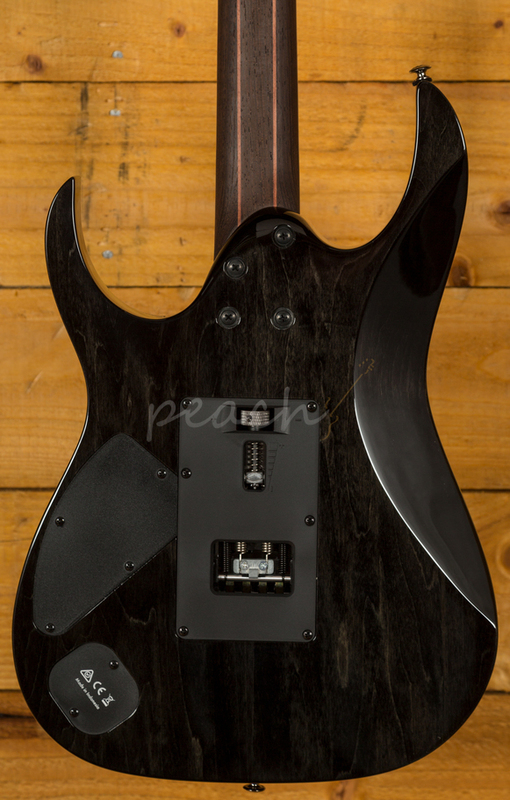 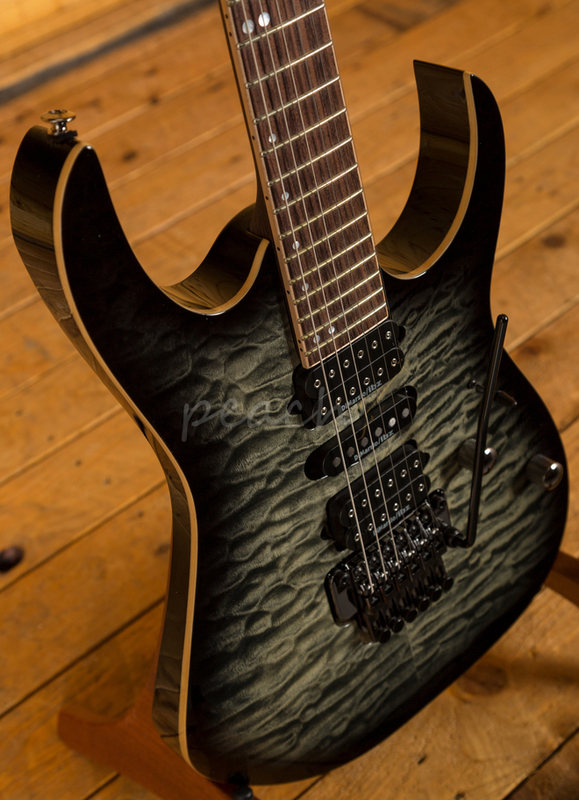 Incredible Quilted Maple top on this RG, finished in the awesome Black Ice Burst. 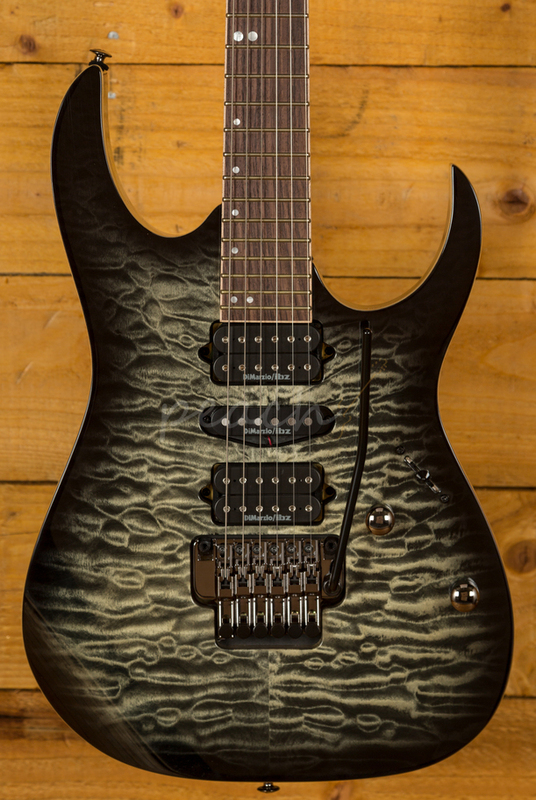 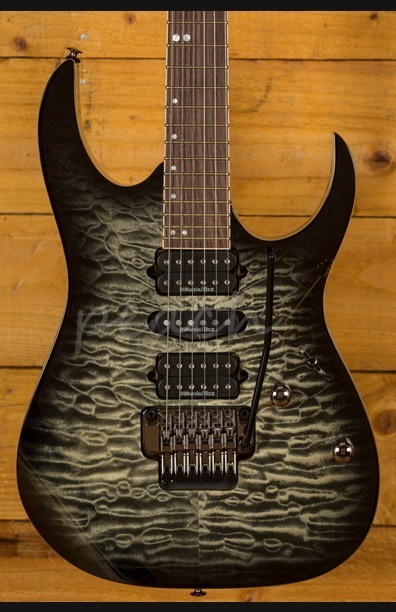 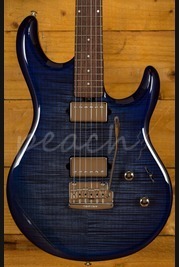 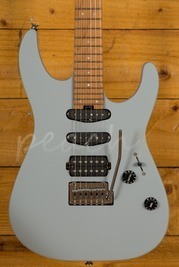 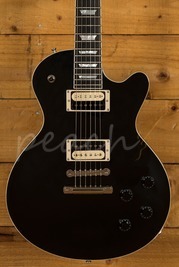 Such a premium looking and playing guitar is rare to find for under £1000 these days but Ibanez have really produced the goods! 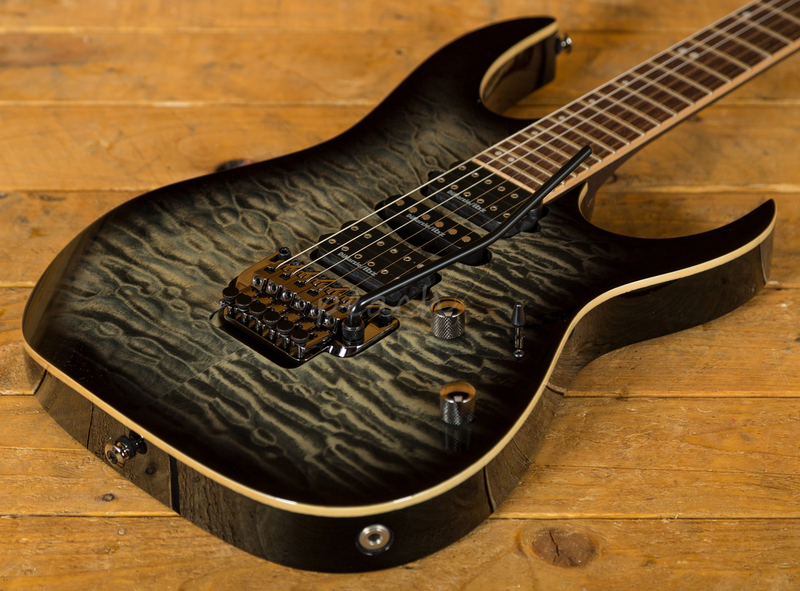 Matched with a resonant American Basswood body, jumbo frets and a Wizard 5 piece Wenge/Bubinga neck for supreme playability and the DiMarzio IBZ pickup combination provide great tonal variation. 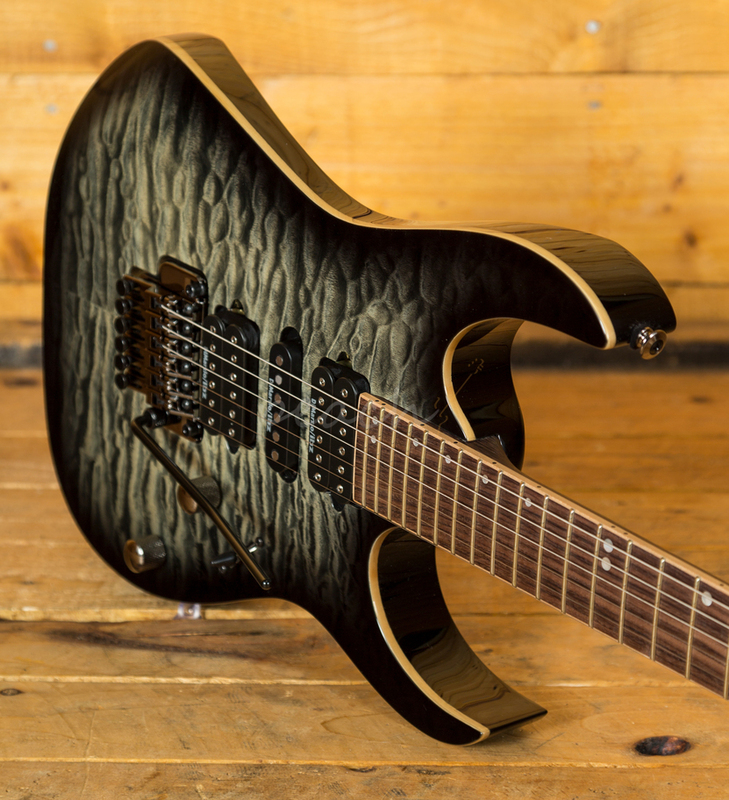 The Edge-Zero II tremolo bridge adds to excellent tuning stability and sustain so you can rock as hard as you desire! 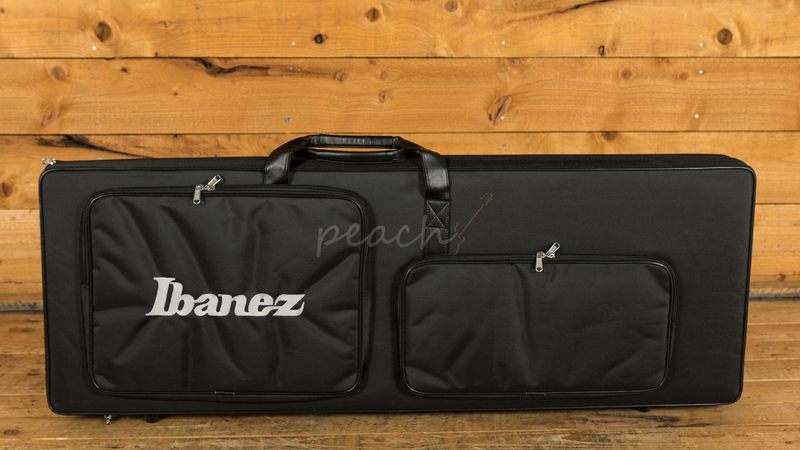 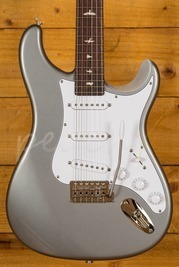 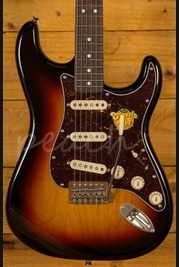 Comes with Ibanez soft case.